April 2019 ......and we are still waiting for an update to a higher Minecraft version ^ ^ How many years should it take? i'm making a mission pack that uses the Looking Glass API with SecurityCraft, but whenever i try to load the world with Looking Glass enabled, chunks of the world just mysteriously disappear. I'm also utilising the CustomNPCs and Smart Moving mod for this to work, which both use their own APIs, and i'm wondering; Are those APIs messing with this one? Issue found, Turns out the RAM allocation i had on the pack was insufficient. I really wish Minecraft didn't change the way the game was coded. Alot of mods would've never died if it wasn't for the coding change in 1.8. Well, 1.13 changed lots too, most notably the way blocks work. I think i found a bug , when i click for 1.12.2 it shows me the 1.7.10 files. If this is not a bug , then i would like the creator to read this. 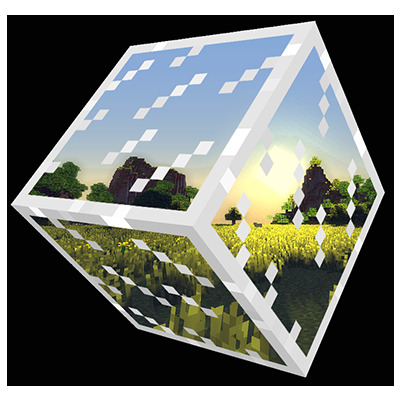 I know everyone wants it updated, but i can see potential in this mod , i see how good the mod could be if it was updated and how many ideas could be added in the game , GLASS doors , Glass Trapdoors, Glass Stairs , Glass...Glass? Okay , I just wanted to say that if the project would still be supported , it would get popular, because some big youtubers ( eg : Dantdm ) started mod series ( or restarted ) and because the mod is awesome they could include it in their video. I honestly feel so bad for mod creators, they almost never get thanks , only people demanding and whining for them to change or update their mod. Take it from me a big thanks for making this very cool mod! Thanks! :D I very much appreciate it. People like you are why modders keep modding. I wish everyone understood this. Any thoughts within a scale of 1-10 on it coming along for 1.12.2?, I don't really like the older version for many reasons so it would be amazing for 1.12.2.
are you still working one 1.12 support? @XCompWiz Thank you for your work on this mod! It's great to see that you're still working on MC 1.12 support! Looking forward to using this mod in tandem with SecurityCraft. still missing a lot so that the mod is for 1.12.2? It crashes after only a few panels due to memory issues. I'll need to redo the entire render pipeline handling. So how long will it take for 1.12.2 to be released?